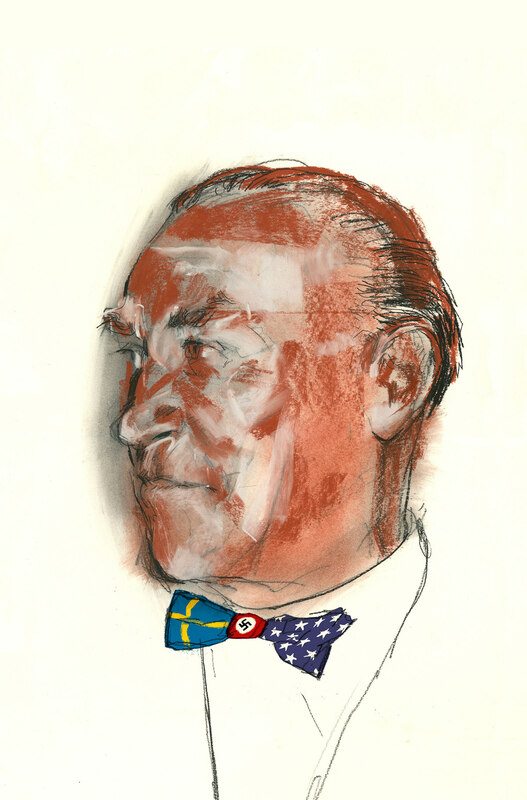 Portrait of Eric Erickson, an American born Swedish oil executive who spied on German oil plants for the Allies during WWII. Illustration for the Scandinavian Review. Art direction by Walter Bernard.